FEBRUARY 4, 2019 - WASHINGTON (AP) — True north isn't quite where it used to be. 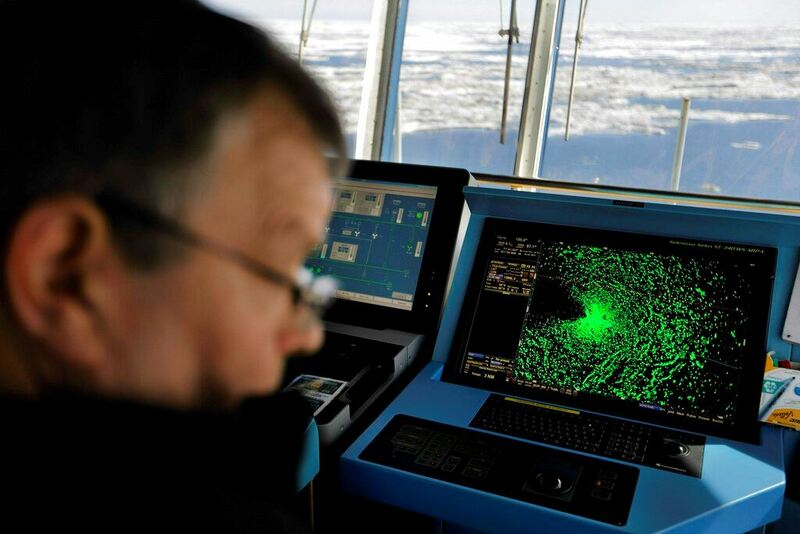 In this July 16, 2017, file photo a radar shows sea ice ahead of the Finnish icebreaker MSV Nordica as chief officer Harri Venalainen navigates the ship through the Beaufort Sea while traversing the Arctic's Northwest Passage. The magnetic north pole is wandering about 34 miles (55 kilometers) a year. At the end of 2017 it crossed the international date line. That means it’s not even the same day at the new magnetic north pole as it is at the spot of 2010’s magnetic north pole. It’s leaving the Canadian Arctic on its way to Siberia.AP Photo/David Goldman, FileEarth's north magnetic pole has been drifting so fast in the last few decades that scientists that past estimates are no longer accurate enough for precise navigation. On Monday, they released an update of where true north really was, nearly a year ahead of schedule. 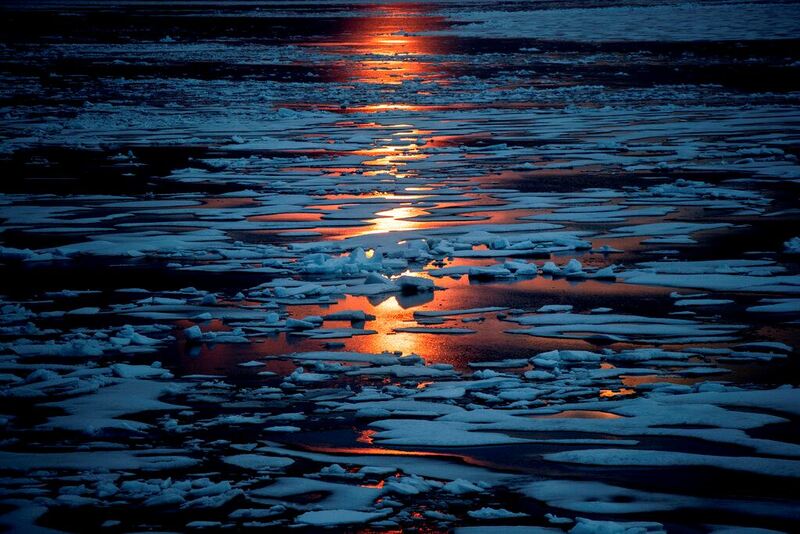 n this July 23, 2017, file photo the midnight sun shines across sea ice along the Northwest Passage in the Canadian Arctic Archipelago. The magnetic north pole is wandering about 34 miles (55 kilometers) a year. At the end of 2017 it crossed the international date line. That means it’s not even the same day at the new magnetic north pole as it is at the spot of 2010’s magnetic north pole. It’s leaving the Canadian Arctic on its way to Siberia.AP Photo/David Goldman, FileSince 1831 when it was first measured in the Canadian Arctic it has moved about 1,400 miles (2300 kilometers) toward Siberia. Its speed jumped from about 9 mph (15 kph) to 34 mph (55 kph) since 2000.